The Alpha Club was created to connect and support the gifted and talented. These perform above average in their skills and interests. Social. The Alpha Club offers a variety of events, activities and tours which can be found on our website. This includes day and holiday camps around the world in places like Adventurous Marbella (Spain), Beautiful Bavaria (Germany), Mountainous Austria and even some parts of the Caribbean. Have a clear goal and master things the way you think is best. Put everything into it, until you get the results you want. Dream as big as you want. Go after your goal! Want help and support! Get noticed by connecting with the Alpha Club`s Talent Scouts. The Alpha Club plans to Support and help the gifted to reach their Goals by connecting them with the right professionals, at the right time and with the right mentality to allow them to succeed. To become the global network of institutions, mentors, and tutors that support each gifted individual's goals and help them being successful by mentoring, tutoring and encouraging these individuals. The Alpha Club verbindet und unterstützt begabte und talentierte Menschen. Unsere Mitglieder sind Menschen die etwas Spezielles und Besonderes im Leben erreicht haben oder noch erreichen wollen. Unsere Mitglieder kommen aus allen Bereichen und Sparten. Registrieren Sie sich unverbindlich und kostenlos. Verbinden Sie sich jetzt mit unseren Talentscouts / Ambassadors von Alpha Club . 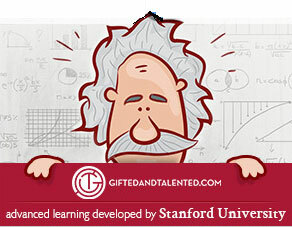 Gifted and talented people succeed above average in skills and interests. By in where they are ahead of their peers. Visual, Artistic, Sport or Social. Sometimes they cover several of these areas simultaneously. and are therefore considered high gifted. this is the case for many but not all gifted children. or suppression in family, kindergarten or school. can develop problems in school and in social life. therefore they are no longer developing their skills. even in interacting with other peers, even when they get older. Enjoy the sunshine and exciting activities here and learn from the best teachers. The Alpha Academy has created the Alpha Club for connecting and supporting gifted and talented. Experiences and activities are organized by each stakeholder and perceived by like-minded completely different. The Alpha Academy offers its members a variety of events, tours and networking opportunities at home and abroad. The Alpha Club presents the interests of gifted children, adolescence, parents and teachers to the Federal Ministry of Education and the Standing Conference. Our goal is to anchor the gifted education in the education legislation. Special classes can be formed with a previous enrolment and approval would be possible, regardless of school.